A diagnostic audiologic evaluation is nothing more than an in-depth hearing test. 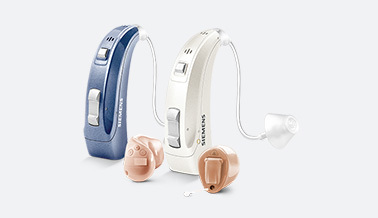 This hearing tests aims to confirm or rule out the presence of hearing loss. Diagnostic audiologic evaluations are recommended for individuals who did not pass a basic hearing screening or have specific concerns that warrant an in-depth look at the hearing system. After the diagnostic test, Dr. Chad will discuss your results with you, including if you have a hearing loss, and if so, the type and severity of the hearing loss in each ear. Other tests may be recommended based on your results, but in most cases, treatment recommendations will be discussed with you and your family on the day of your appointment. Dr. Chad and Dr. Pastore will conduct certain tests with you based on your medical history, symptoms, age and known hearing status. These tests will profile your hearing ability in both ears and examine the health of your ear canal and middle ear. A diagnostic audiologic evaluation includes pure-tone testing, bone-conduction testing, and speech testing. To begin, Dr. Chad or Dr. Pastore will look in your ears and evaluate your ear canal and ear drum (otoscopy). She will also perform tympanometry, which is a test to determine the health of the middle ear. In pure-tone air conduction testing, you will listen to a series of several tones and give a response when you hear each tone. This test is performed under headphones or with soft eartips that fit in your ear canal. Bone conduction testing is similar to pure-tone air conduction testing, but a different headphone is used to evaluate your organ of hearing in isolation. This results of these tests in tandem help Dr. Chad or Dr. Pastore determine if a hearing loss originates from the outer and middle ear, from the inner ear, or both. For air conduction and bone conduction testing, Dr. Chad and Dr. Pastore will evaluate several different pitches in each ear and determine the softest tone you can hear consistently in each ear. Speech testing is a valuable part of the hearing test, as we listen to speech to communicate; not tones. Dr. Chad or Dr. Pastore will ask you to repeat basic words that get progressively softer. This test determines the lowest level at which the patient can recognize words or speech stimuli and helps to confirm the validity of the pure-tone results. You may also be asked to repeat a list of words at a volume that is comfortable to you; sometimes this task is done in quiet and other times you may hear noise. Cape Cod Hearing Services is pleased to offer specialized testing for balance disorders, called videonystagmography (VNG), as well as Auditory Brainstem Response testing (ABR) for higher-level hearing testing when needed. Otoacoustic emissions (OAE) testing can also be provided to validate hearing test results. At the conclusion of your appointment, you will have time to review and discuss the results with Dr. Chad or Dr. Pastore and ask any questions you might have. She will explain your tests and take time to ensure that you are confident with your results and understand the next steps. You can expect to begin planning for treatment, if indicated, and make any follow-up appointments that are necessary for your care.